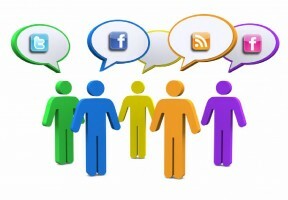 Social media reinvented how public administrators communicate to the public and vice versa. Public administrators use social media to conduct business, increase public participation, facilitate government transparency, connect citizens to services and quickly communicate information to the public. Undoubtedly, social media provides an opportunity for government agencies to save scarce resources and improve operational efficiencies. When implemented appropriately, social media is an effective communication tool, which may have a positive impact on the public. Indeed, there is a remarkable opportunity for government agencies to have positive interactions with the public through social media. At the time of writing this article, a major storm is projected to hit the San Francisco Bay Area. There is concern for the homeless population within the city as this storm will cause flooding, power losses and down trees. The San Francisco Police Department sent messages to the public, through social media, advising where the homeless population can find shelter. Likewise, the Mayor of San Francisco sent a message, via social media, regarding the impending storm and how the public can access city services. Unfortunately, there are also negative interactions when a post or tweet is sent to the public without thoughtful consideration of how the public may respond to the communication. A haphazardly written message may generate an unexpected response, which may result in immediate public backlash. Recently, the communications director for Congressman Stephen Lee Fincher, Elizabeth Lauten, used social media to post “derogatory remarks about Sasha and Malia Obama regarding their appearance at the president’s annual Turkey pardoning.” Lauten’s comments created a backlash from the public resulting in her resignation. One might think that a communications director would have a better understanding of how to navigate social media. But in this instance something went terribly wrong. To be fair, these communication errors occur on the left and right side of the political aisle, as well as in the private sector. However, it seems these types of mistakes create more of a firestorm when they occur in the public sector. Public sector employees are held to a higher standard when conducting the people’s business. Consequently, it is important for government employees and political leaders to recognize the immense power they have when using social media, as accurate communication builds public trust and generates positive government interactions with the public. The American Society for Public Administration’s (ASPA) 1994 Code of Ethics provides direction to public administrators in interacting with the public. Although the code of ethics does not specifically outline how social media should be used by public administrators, it does provide key guidance in the area of personal integrity and public interest. Specifically, the code of ethics states that public administrators need to “demonstrate the highest standards in all activities to inspire public confidence and trust in public.” Accordingly, as public administrators we must continuously strive to keep our professional sensibilities intact. However, this is a challenge as we manage hectic schedules and limited resources. Another challenge for public administrators is how to quickly disseminate information to the public through social media. Social media is a relatively new communication tool for government agencies with some thoughtlessly using it. In the Lauten example, there appears to be a blurring of public and private social media communication. The context of the Lauten social media post demonstrates how easy it is to forget that there is a clear line between what a public administrator posts for government communication purposes and what they may post when they are off the clock. Thus, government agencies must assist their employees in navigating the minefield of social media communication with the public. This author argues that government agencies must develop policies that address the acceptable and unacceptable use of social media as a communication tool. Not only do government agencies need to develop social media communication policies, but they must implement those policies by providing training to their employees. At the very least, government agencies must provide on-going mandatory communications training to senior level public administrators, especially those whom interact with the public, media, or communicate information via social media. As public administrators, we clearly understand that miscommunication will likely create distrust and lack of confidence with the public. Accordingly, government agencies do a disservice to the public, when they do not provide their employees adequate social media communications training.